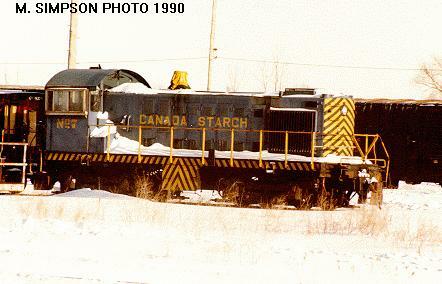 Canada Starch #7 (photo taken February 17, 1991) at Ottawa Ontario. It was retired at the end of 1990 from Canada Starch (based in Cardinal, Ontario). 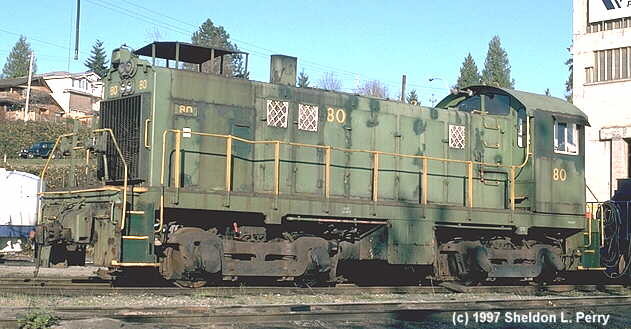 It is an MLW S-4 built for CN as #8018. Donohue Inc. #22 (MLW RS-3), stored in the plant at Baie Comoeau. A spy's view from Sept. 19th, 1998. 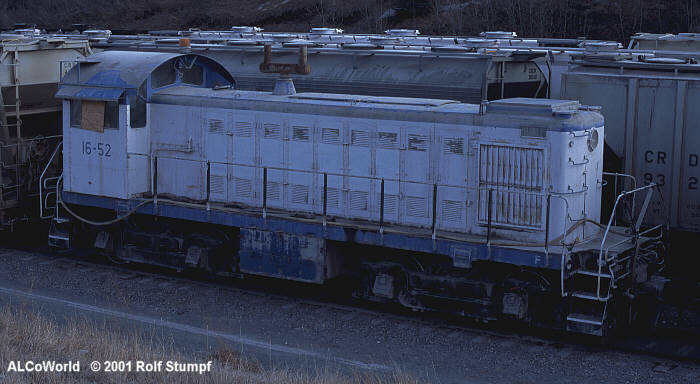 Neptune Bulk 80 (ALCo S-6, ex SP) at Burnaby BC, December 1st, 1997. 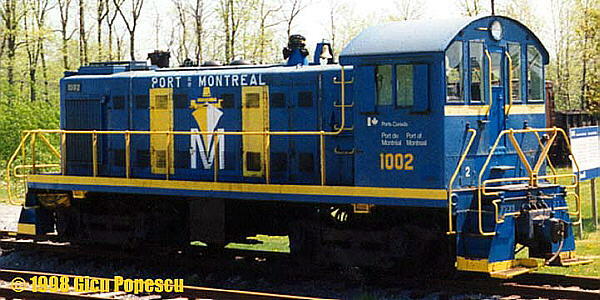 The MLW S-3 Ports Canada #1002 was manufactured in 1951. In 1987 was brought to the Canadian Railway Museum, St. Constant, Quebec, where this picture was taken in June 1994.